I found this idea during my daily Pinterest scrolling, and it was perfect for something different! Plus, I was able to add in a STEAM element, which made me and my PSA happy! Yay! I love this. The colors and everything. Even though this messy baby circle in the middle. I struggled a little with what I should talk about when it came to what a compass is because I knew some children wouldn't know what a compass is cause they're too young. Thankfully my Library Assistant, Nicole, helped with that. Basically, a compass is used to make a perfect circle of different sizes. Who uses a compass? Mathematicians. Architects. The children seemed to have gotten it. Additionally, I explained to them how a compass worked. Your little watercolor paint brushes are, more than likely, too skinny for the thingamigig that holds the compass pencils. So! You will need to tape it to the that arm. Have the children dip the brush tip into the water and a paint. Then let them go to town on making different size circles all over the paper. It was pretty well. Everyone did a great job using the compass to make their circles. Some children thought it was nifty that there were numbers on the compass, which helped tell you how large of a circle you would make. All the artists were able to make a work of art that was all circles. They then had the option to do another on the back side of their paper or to paint whatever they wanted. 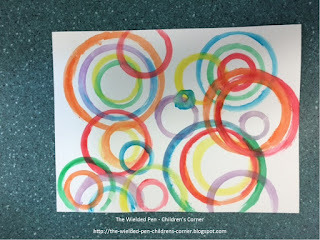 Some did two circle paintings while some opted for an actual pictures. This was such a fun idea. I prepped this board at the very end of December to be ready for January, which was when I was gone most of the time while I served as Interim Manager at another branch location. I had found a sweater coloring page while searching Google (see link here for the page I found) for a storytime program a while before this board. To make this cut out I just took a coloring page and shrunk it down to a more manageable size for the board. Amazing! 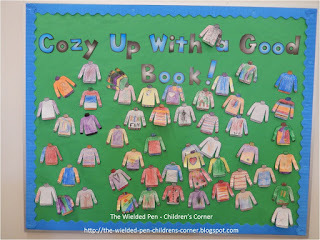 A staff member that covered my Children's Desk shifts while I was gone asked me to share the file with her because the sweaters were so popular! There are so many cute little sweater designs too. Everyone did such a great job. I've had the idea of maybe making an Ugly Sweater type display for the holiday season too. This was such a cute idea. I left this display up for two months and it got pretty full, especially when Spring finally hit. I found both clip arts for the shapes on The Mailbox. I apologize for the gloomy dimmed photo quality! Pretty well. 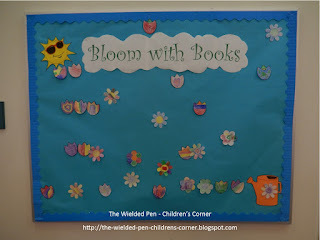 It created the board prior to the first day of spring, but once we got into the season it totally became popular with the children. Everyone like both flowers, but I believe the daisy was more popular because it's a more recognizable flower shape. 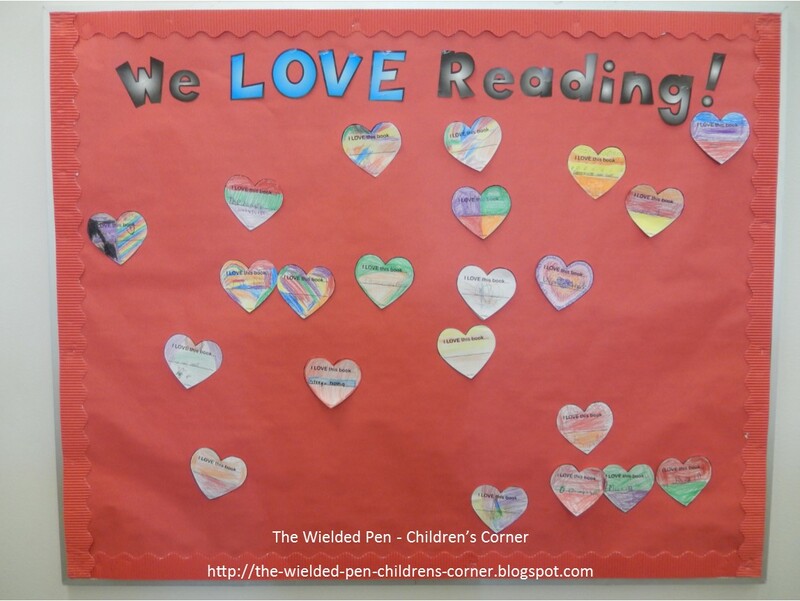 We love books and reading and everyone in the Library! Heart with text "I Love the Book ________"
To tie into the love of other things, not just people, during the Valentine's Day season I printed out hearts that said "I Love the Book ________ " for the children to fill out with the name of their favorite book. The children had some difficulties with coming up with a book title let alone spell the title. So, pretty much everyone started writing their names on the hearts instead. I was perfectly fine with this because they were still practicing their writing skills which all that I really wanted. I'm probably going to do this next time, but leave out the book title option. 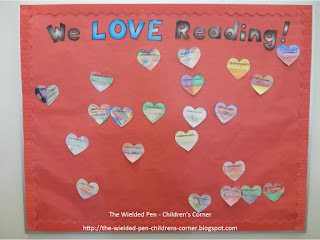 Granted, I think adults and teens could help us with a display elsewhere in the library with these type hearts! What's nothing better than a cup of hot chocolate with yummy marshmallows? How about when you're reading? Even better! I couldn't find a good shape for a marshmallow at the time. So I simply made a shape on Microsoft Publisher (Word can work as well) and printed out bunches of marshmallows. It took some convincing for the children to color a marshmallow, so I had to provide them with a couple of examples at my desk. They finally caught on and there are some very delectably colorful marshmallows on the board. I wonder if they have different fruit flavors to match the colors! This was my first interactive bulletin board. 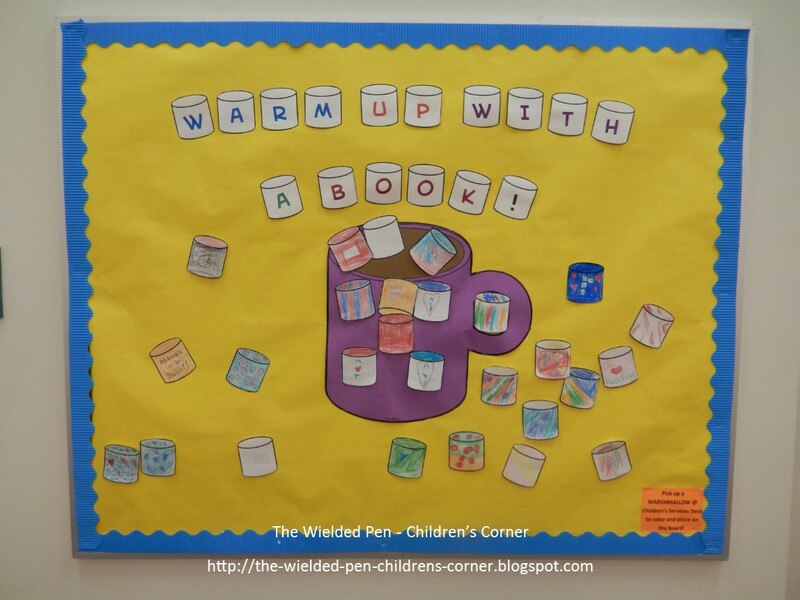 I was completely amazed at how popular it would be for the children to color a shape and place it on the board. I believe I found this cute fellow on The Mailbox. Amazing! 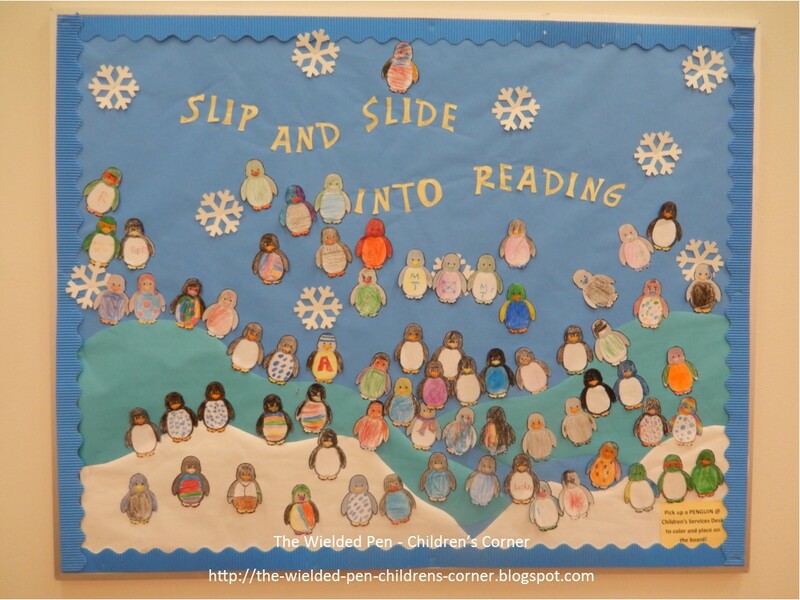 Look at the flock of penguins! 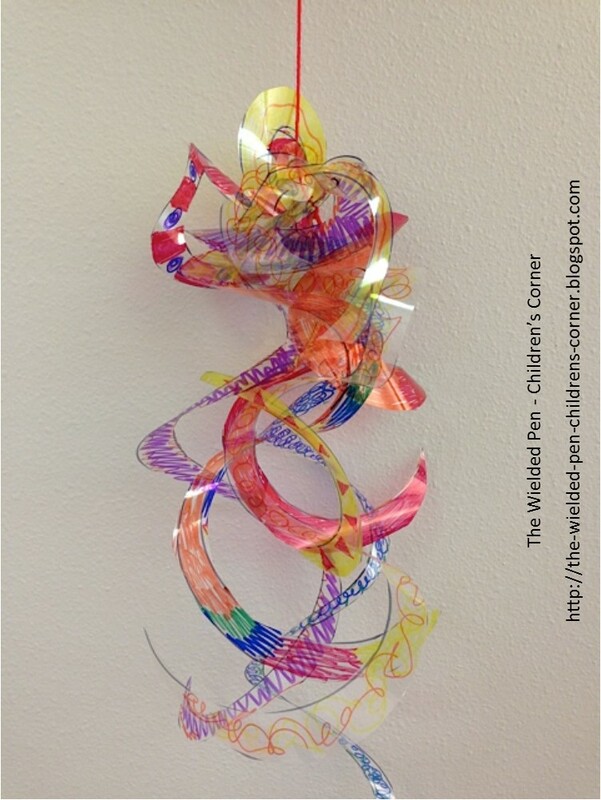 The children had so much fun coloring in their tummies. It's adorable! This is from my 2015 file. 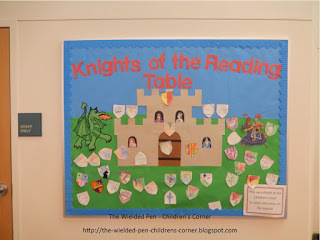 My library system came up with their own Summer Reading Program theme, which was Join Our Fantasy Quest - Read!, which was all things fantasy. I had a hard time finding a shield that looked good. If memory served me correctly, I found one on free clip art site called Clker.com. The children had fun with this one. I made two examples for this board. One that was taped to the board already while one was on my desk as my example display. This helped the children be inspired to make different designs to create their own "coat of arms" design. 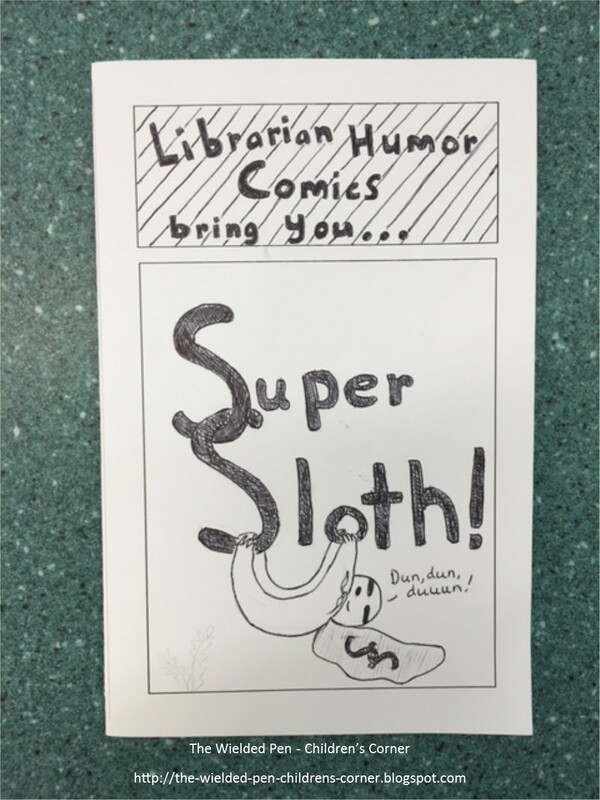 For our 2016 Summer Reading Program my library system used the theme from the Collaborative Summer Library Program. I'm a runner and so I just had to have a running theme display! Looking back, I which I had added in some grass or mile signs in the brown areas. I used a shoe clip art that came with the CSLP offered in their package. You can probably find a shoe clip art on The Mailbox or Education.com. This was great! The children started putting their shoes right at the end, and literally, on to of the finish sign. Eventually shoes started to fill up the rest of the track. 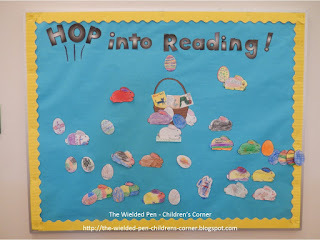 This was such a cute idea for Easter. I particularly like the red bunny rabbit that one child colored. I found both of these clip arts on the The Mailbox website for free. I made examples that I kept at my desk, which also served as an advertisement. 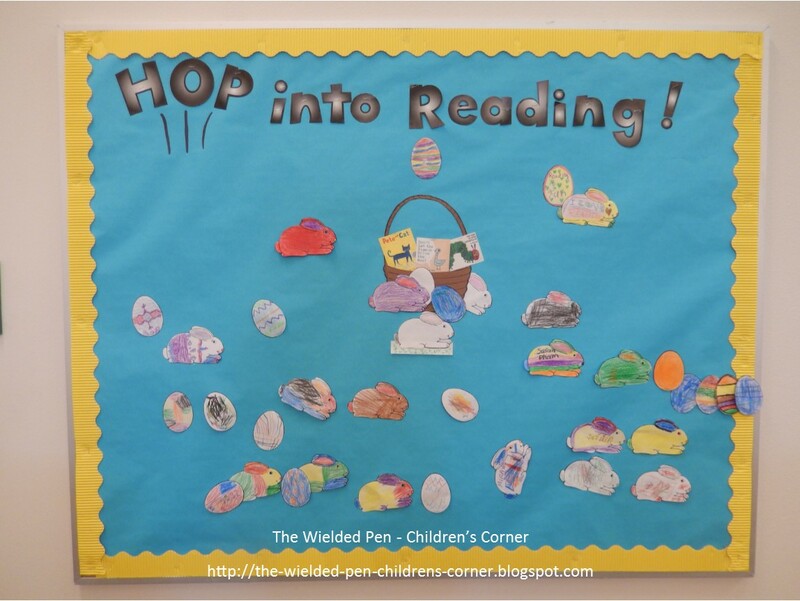 I made an Easter basket out of construction paper and added a couple of book covers that I printed on copy paper to the center of the display. 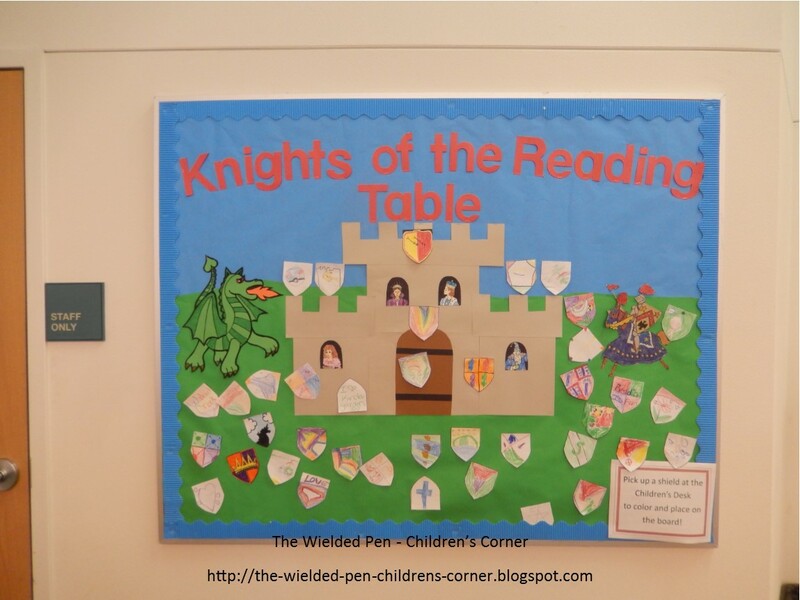 The children really liked this board. The bunny rabbit is so cute, and who doesn't like coloring eggs? I took the picture about half way through the period the display was up. It was definitely popular! Everyone was very ingenious with some of their egg designs too! I saw this idea a loooooong time ago and was just waiting for the time to implement it in the Art Explorers program. It was such a fun an cool project! Since Dale Chihuly is a modern artist I did not really have very many books to share with the children. We did have a wonderful color photo oversize from our adult collection at the Central Library. Some children were fortunate enough to have a field trip to the Dallas Arboretum when it had a Chihuly exhibit in their gardens. 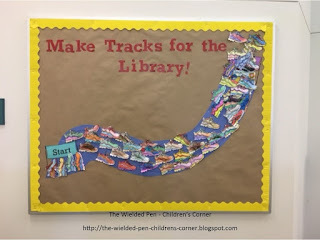 The children were given four or five pieces of laminate scraps (my library system as a laminating machine and after someone uses it I had them send me their scraps). They drew a spiral design with a sharpie then they colored it in any fashion they wanted with the markers. When they were done they had to cut out their spirals. I helped them hole punch the center of each spiral. The children then thread the spirals onto a length of year that had a big knot at one end. It is perfectly OK and encouraged for the spirals be of different sizes and to get tangled among each other. That is how it creates the cool curly-cue "glass" design. Everyone thought it was the coolest project! There were so many cool chandeliers to be seen. I did prop up my emergency door and had a fan going in the room because having 18 children using smelly permanent makers in a very small room had the potential to have some very giggly kids and adults or to have headaches. Went back to the ancient times to look for art inspiration! 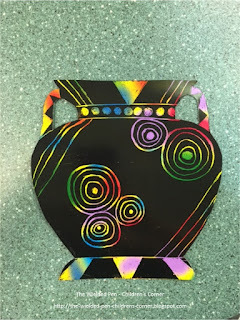 I shared some information about the progression of the style and design of vases over the centuries, and that even though we now consider them works of art, they were simply used as everyday items with decorations. Everyone loved used the scratch board. Who doesn't? One boy explained that they were "Pretty awesome! ", which totally made the program. 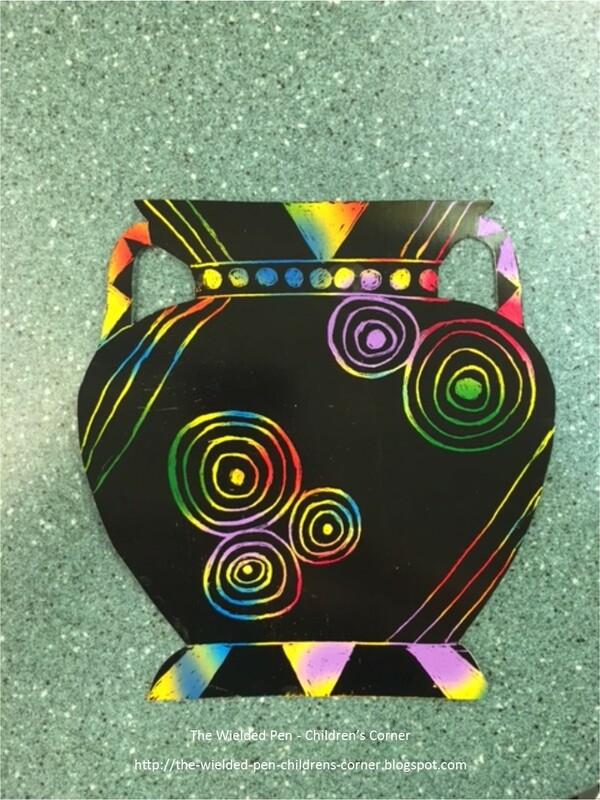 Some children did a great job working with making abstract or geometric designs on their vases. Some came up with a story, such as Star Wars or a literal representation of something, such as a galaxy. I had latex-free clothes available for the children to wear because I discovered that during the process of making the example that grease from your hands stops you from scratching off the black layer. Boo! Circles, circles, circles everywhere! This coincided with International Dot Day to boot! acid free and fade-resistant papers for art programs. I highlighted Wassily Kandinsky's "Color Study. 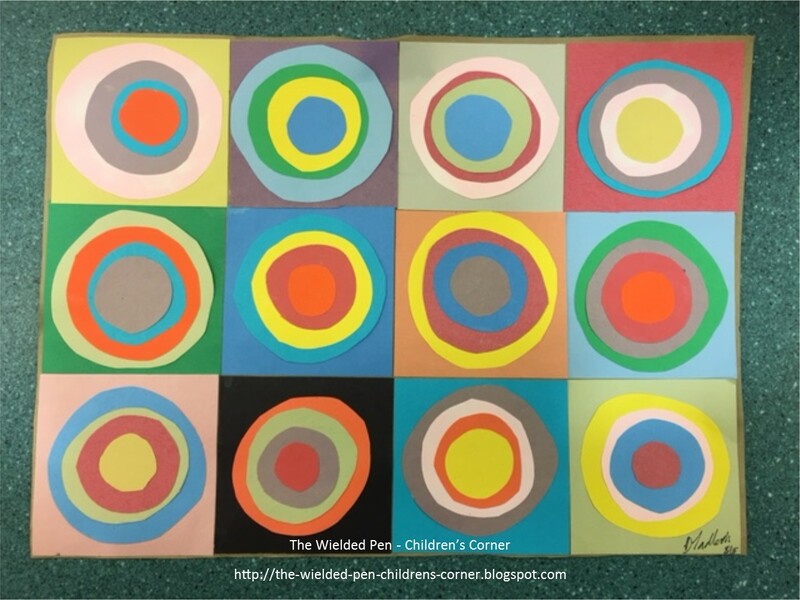 Squares with concentric circles" for this program. As usual I introduced the artist and a bit about his life and career along with the painting we're taking inspiration from. I used brown butcher paper as our base. Mine comes on a large roll. If you don't have that then you can use just a piece of construction paper of any size as your base. I precut twelve squares to fit on the butcher paper to help speed up the process. 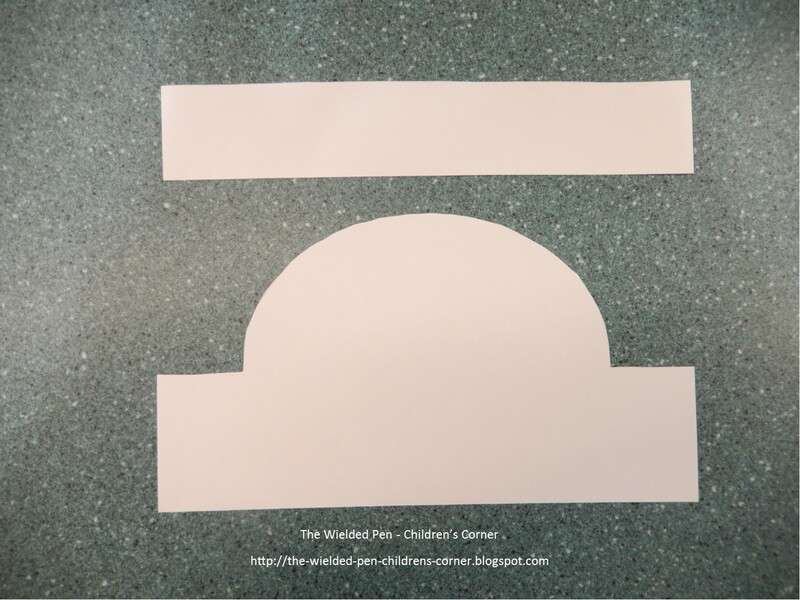 The children would paste the squares to the base before working on their circles. 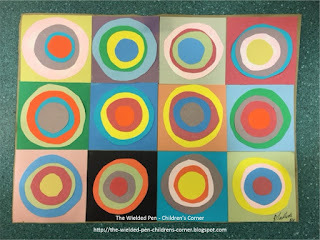 I had scrap construction paper and new constriction paper for the children to cut out there circles of varying sizes to create their layers of circles. The children really liked it. Some had difficulty using my small safety scissors, but that is all I had to work with. The children felt really proud of their works of art. Some needed a little help getting all of their circles done, which I knew would happen. Thankfully I had prepped various size circles before hand. 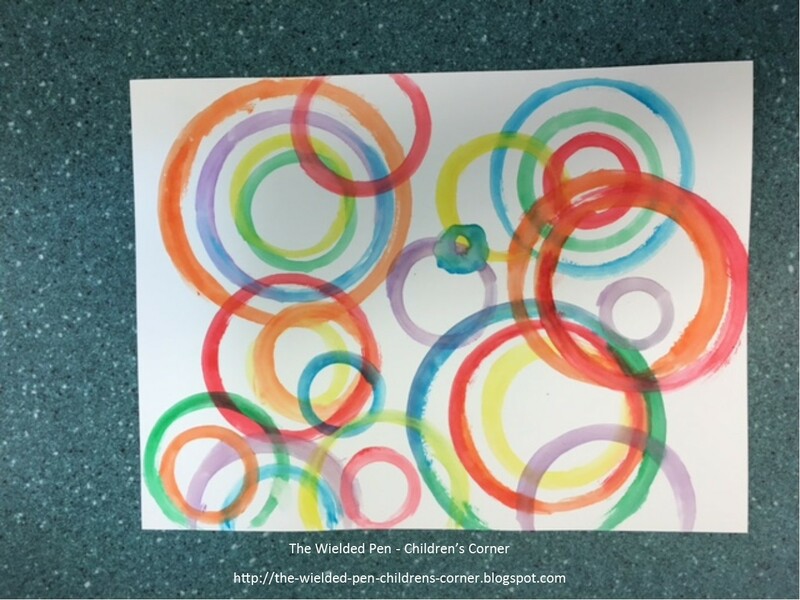 Some children ventured out of the circle realm and added in other designs in the circles too. I consider this program a great introduction to a "wax resist" method of painting! I've known of Jasper Johns since my college days. 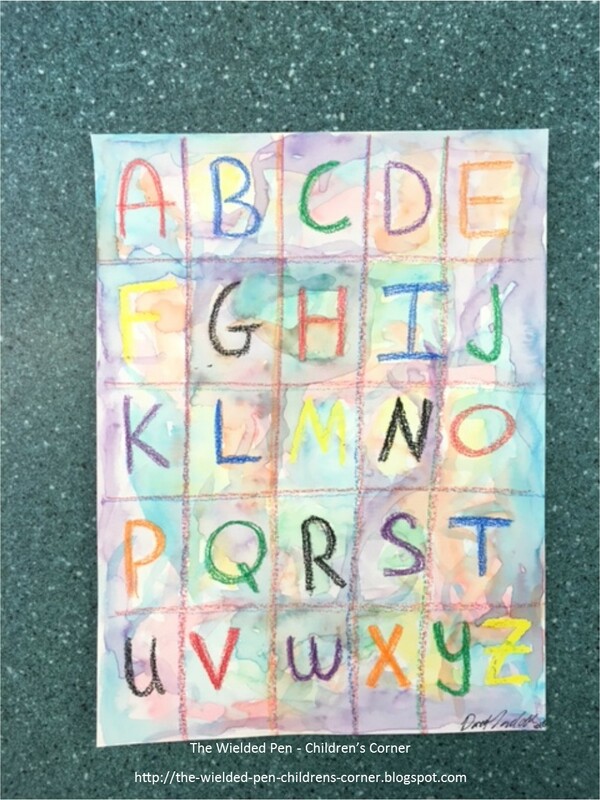 I came across some ideas on Pinterest for using some of his paintings as inspiration, especially his Alphabet (one inspiration source: ARTASTIC! Ms.Oetken's Artists). I shared with the children his life and career. 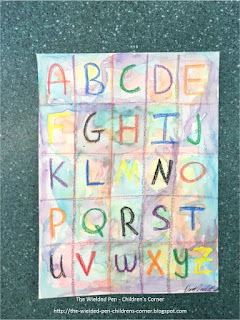 Using waterolor paper as their base I had the children draw a grid (some opted not too) before they wrote out the alphabet. I suggested using more than one color to help thicken the line and to create more contrasted. The same went with the letters. If there was space at the bottom of their paper the children added shapes, like hearts and stars, or numbers or their name. Once they drew everything they wanted with crayons the painting began! I think everyone really liked it. 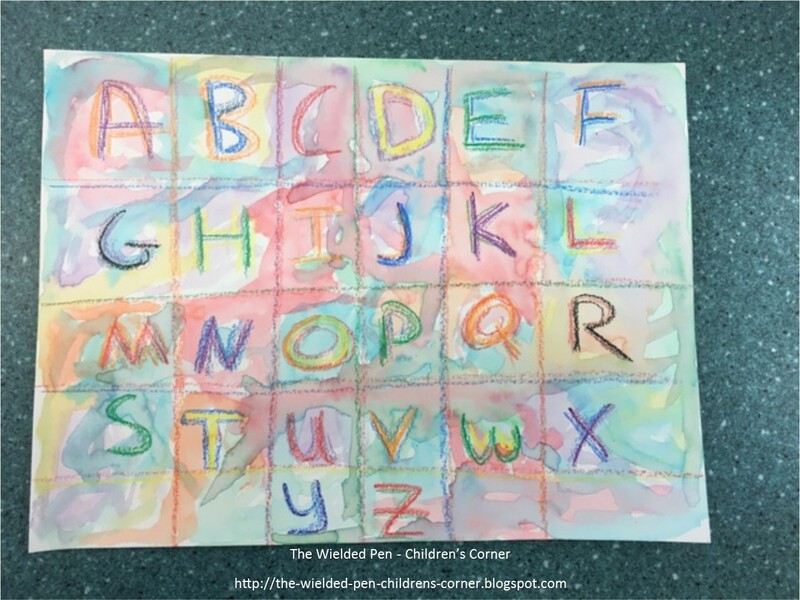 During the painting process I was able to show some children how they could make the nifty "tied-died" effect that you can do with watercolor paint, which garnered a lot of "That's cool!" responses. This was my first Art Explorers idea that I created. My example is pretty much was totally awesome and one of my favorites because of the humor! I began with the program a quick explanation of what comic books/graphic novels are. Obviously, you have to ask the question, "Does anyone read graphic novels or comic books or comics in the newspaper?" and generally all hands will jump up in excitement. Who doesn't like comics? I focused more on graphic novels that did not involve a superhero. Books that I highlighted included, "Calvin & Hobbes," "The Graveyard Book," and so on. I also explained that certain style like Pokemon or other manga books you actually read from back to front instead of the typical front to back. I also explained to the parents who sat in the back that reading graphic novels is actually good reading because the readers have to decode what is happening in the story by looking at the pictures and reading through the limited dialog text or no text at all if it's a wordless graphic novel. 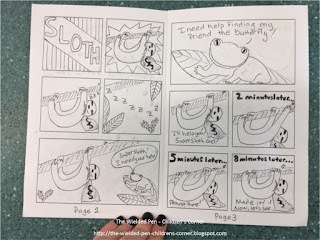 I found a link via Pinterest that took me to the blog Inner Child Fun - Free Printable Comic Pages to make my templates. I printed out all of the inside panels on regular copy paper (double sided) and the cover on card stock. 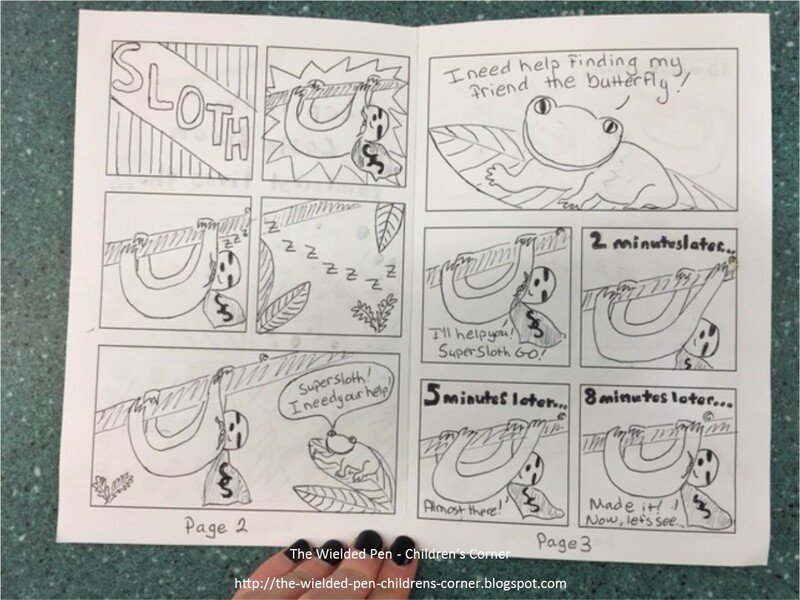 The children could use as many panels as they needed for their book, but they started out with two pages (that's 8 book pages of panels) to tell their story. 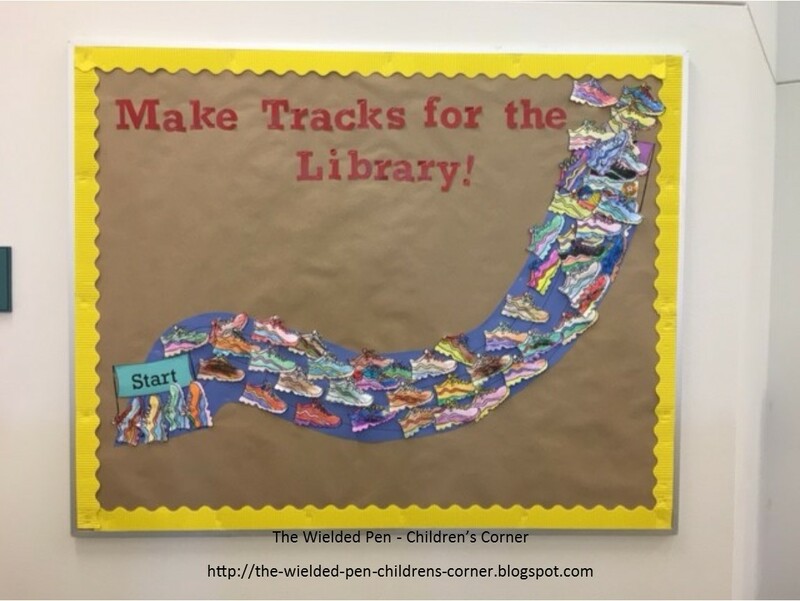 The children could draw their story before folding the papers and stapling them together to make the book or they could do that first. I preferred having them make the book first so that they don't get their panels mixed up when the book is made. As for the drawing potion of their creations I had them start out with pencils. If they wanted to, they could then go over the pencil lines with a black pen. The kids LOVED it! There were so many cool story ideas going on. 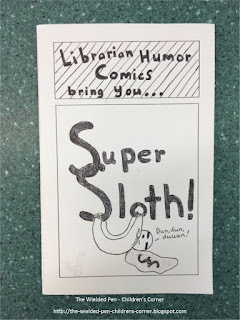 One girl made a story about a superhero helping the librarian fix a stapler, which was influenced by the fact that two of staplers broke at the beginning of the program (AH!). There were a couple of children who struggled with coming up with an idea, so I offered them prompts like. Pick and animal you like. Have them do something that they typically wouldn't do. That generally did the trick. This was a pretty cool program, and I would definitely do this theme again. I didn't know much about Mondrian, but he's pretty awesome when you come to think of it. I still have the examples cause they're so much fun to look at! Piet Mondrain was our artist of the month. I gave a brief overview of his history, such as he started out painting similar to the Impressionists and Noe-Impressionsists before he started to venture into a complete form of abstract art. Plus, I added how he even stopped using the color green all together! For this project I focused on the painting "Composition with Re, Yellow and Blue," but I displayed pictures of his various paintings, especially his abstract ones. I gave all the children two sheets of white construction paper, a ruler four crayons - black, yellow, red and blue. 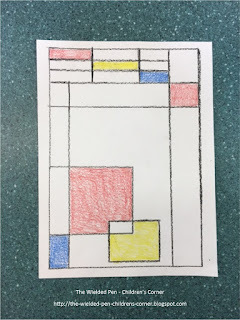 First they had to create their abstract grid with a black crayon and the ruler. Then they can color in the spaces with the colored crayons. 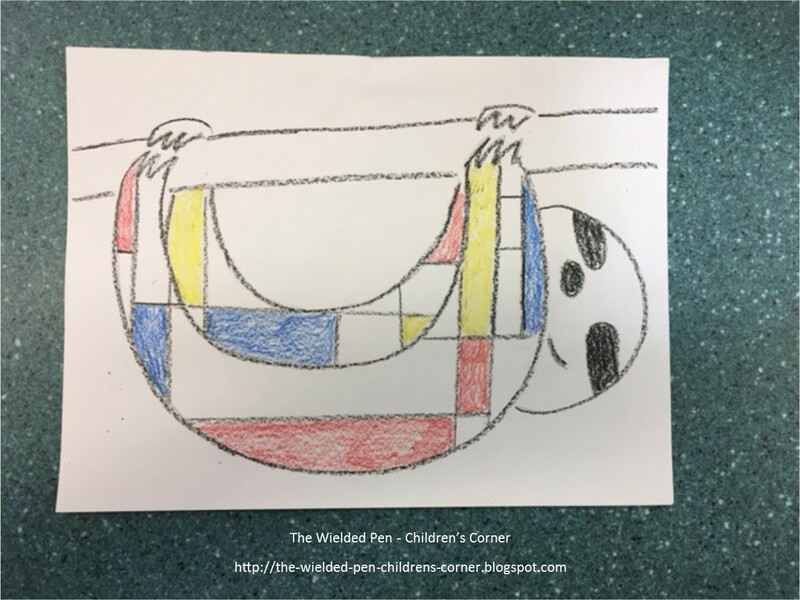 They had the opportunity to make two complete Mondrian inspired works of art or they can draw an animal as their second picture and add a grid inside the animal (see my totally awesome sloth for example!). This went very well. 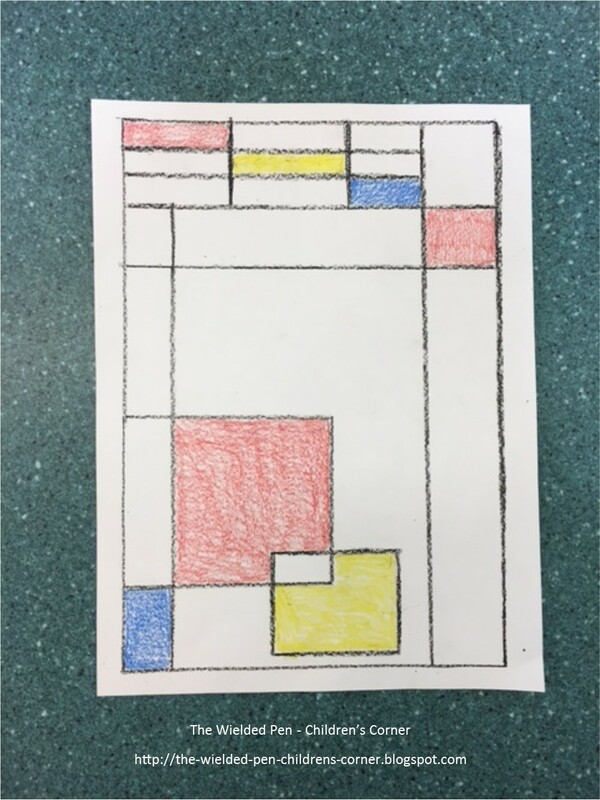 Some of the children kept to the program and made the two pictures (one strict Mondrian style and one animal). Others decided to work on their color theory and create the color green and brown by mixing their crayon colors. This was a very successful program. I've been wanting to do a project like this for a while, and now was the perfect time. 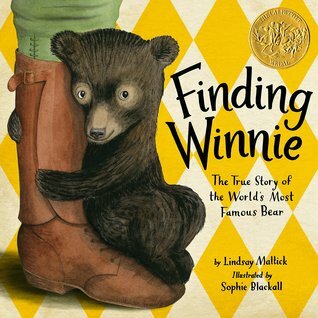 I looked to children's book authors and illustrators like Eric Rohmann and Erin Stead for connection to literacy. 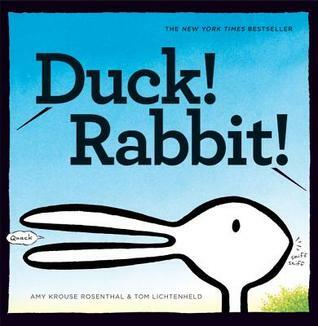 Eric Rohmann's My Friend Rabbit has always stuck with me since the first time I read it in library school, and such a great example of block printing. 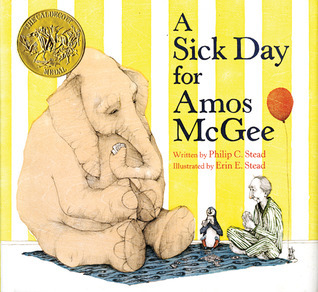 But for Erin Stead fans, so is A Sick Day for Amos McGee. I explained to the young artists what block printing is and how it can be done with various tools and materials, such as wood block, linoleum blocks and ink. 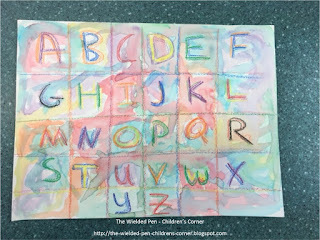 To create a work of art artists use the blocks to create layers of different lines and colors. One girl knew quite a bit about block printing because she had the opportunity to try it in school. They were actually allowed to use a real carving tool. I wasn't. Instead we used foam print plates and acrylic paint instead of ink. Another great success!!! 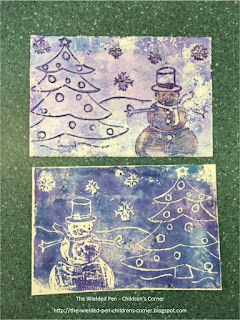 Since it was December I made my prints look like evergreen trees and a snowman. 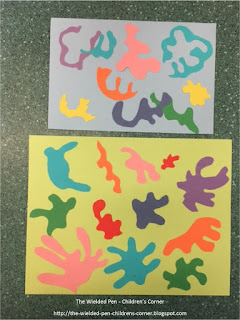 Many of the children did something similar, such as a winter scene or snowflakes. They used a dull tipped pencil or a the end of a watercolor paint brush to create their design because they wouldn't puncture the foam. Once they had a design they came up my paint table, where I was. They were allowed to pick three colors of paint that we would layer onto the their plate by using a brayer. I would pour one color into the box lid and use the brayer, then add another color, then another color. 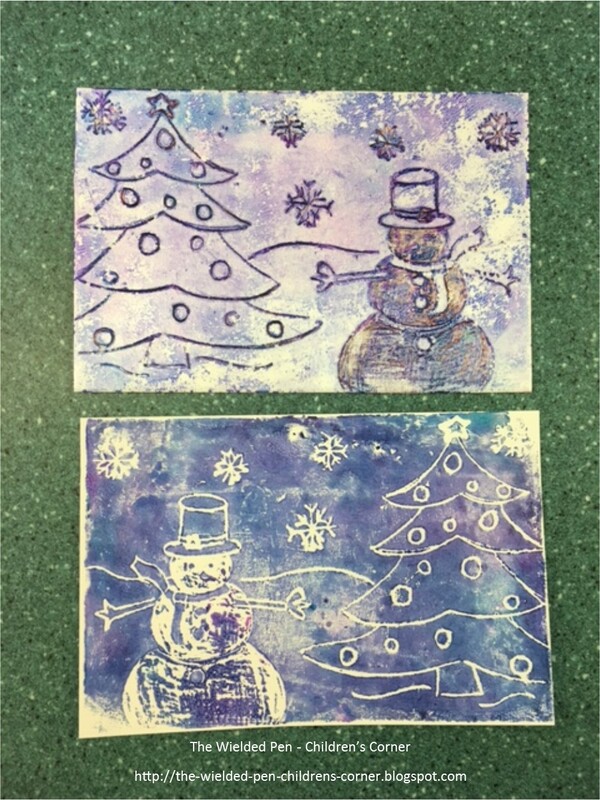 I would show the children how the brayer work then would have them help me. Then we would lay the plate on the paper and apply pressure. We could get up to one or two prints from the paint. The children thought this was the coolest thing. The paint worked out well instead of ink because it was washable and less expensive. I can't wait to do this one again! Whoo hoo! 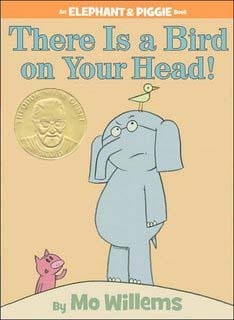 Mo Willems' birthday (belated by the time this is posted!) is just on excuse to have a Mo Willem themed program! 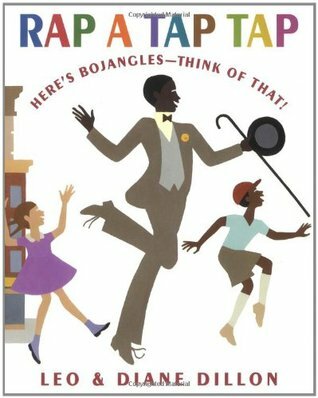 I love his books, and so do the children! 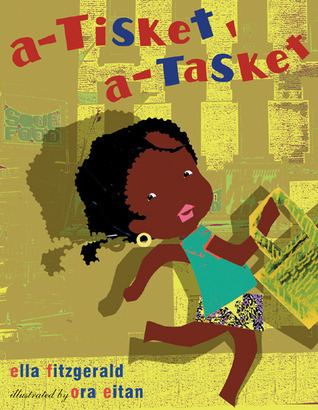 For this story, I made sure the children had the little no signs to raise up as they shout out "No!" 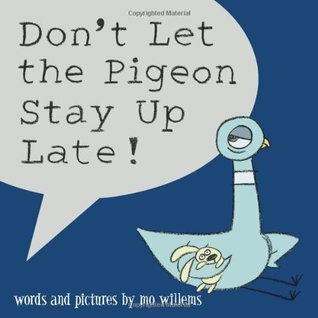 whenever the Pigeon tried to find a way to stay up late. 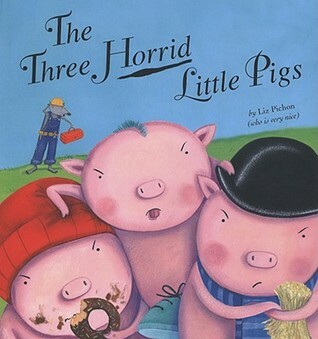 I LOVE Elephant and Piggie books! 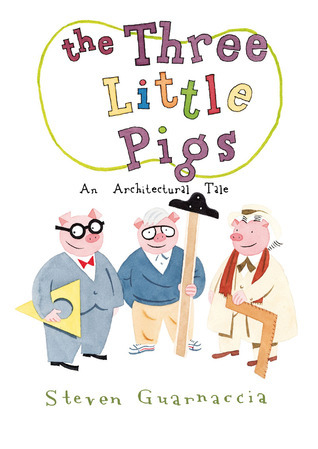 Even though it's awesome read with another librarian, I've gotten experience enough to easily make different voices and mannerisms to represent both Elephant and Piggie. 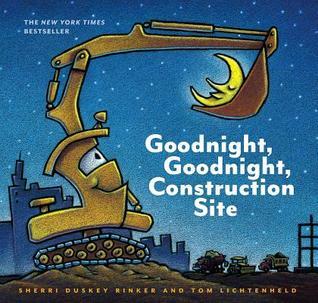 This book was awesome to read with the families, because, as usual, it was funny! It's been soooo long since I did an awesome flannel board like this! It was a lot of fun to make. I basically enlarged a picture of the mole rat then I made clothes for. The children had the opportunity to take turns dressing him up! 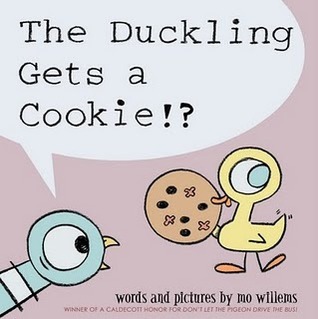 The item of the day was a rubber duck, which was in connection to the duckling in The Duckling Gets a Cookie?!. The children did a good job of making the connection, which was pretty easy. I'm continuing the activity of having the children help keep track of the number books that were read and the number of stories that were told (orally - no books). Cookies for everyone! Everyone got a brown construction paper circle as their cookie. Then they had little black circles for chocolate chips, different colored foam rectangles for sprinkles, and tan foam squiggles that were nuts (walnuts). The children could pick their "toppings" and glue to their cookie. I really wanted a real cookie after seeing their creations! 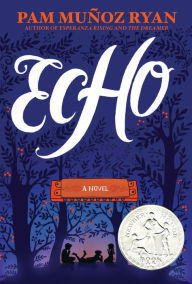 * Images of book covers were found via www.goodreads.com - here, here, and here. It was that time of year again. 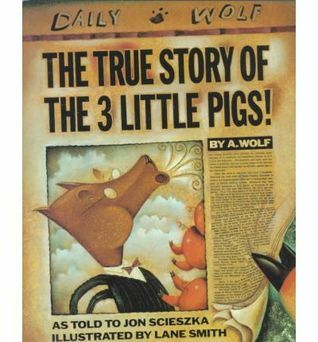 I always try to include cultural storytimes every so often (plus, my Administration loves it when we do! ), even though they can be the hardest program in the world (in my opinion!). For African American Heritage Month I decided to focus on music, especially Jazz music. It actually was a good program! Yay! 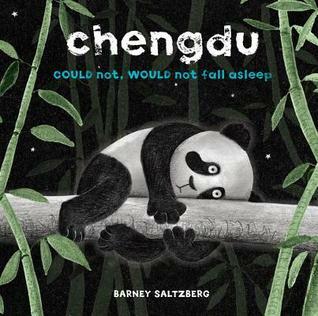 We talked about the illustrations in this book because it's mostly black and white, with a hint of color, which from an artist stand point is great for the story. 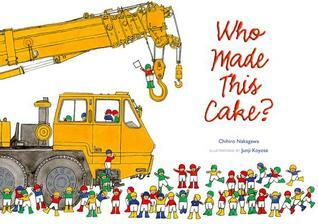 The children loved talking about the art as well, which means I can put this book on the "read again" list! 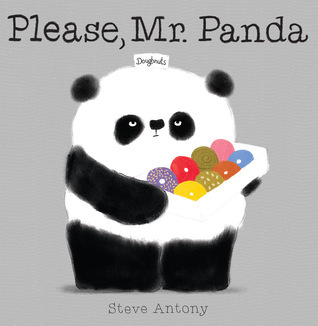 This was a good book, and the children responded well to it. I actually bought this book because I knew it'd be perfect for the program, especially if I had younger children attending. 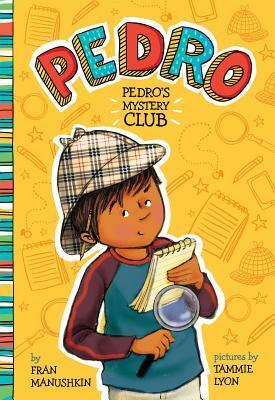 This was a good book, and I totally recommend it! 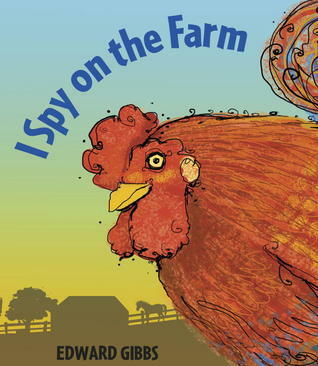 The children enjoyed this book, and they came up with good theories about the basket going missing and who took the basket. I wasn't expecting that, and it was fun to listen to them talk about it. 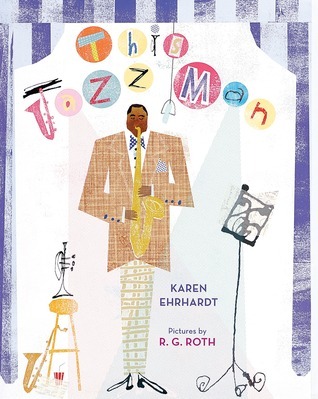 Listened to Ella Fitzgerald's "Old MacDonald"
To talk about Jazz in the way chilren could understand is hard. So! We sang the song "Old MacDonald Had a Farm" like typically do. Then I played Ella Fitzgerald's version to introduce the way Jazz sounds. This was a great idea! Another activity was having the children do the popular Freeze Dance to a more modern type jazzy song by children's Jim Gill. I wasn't quite sure what to make for this program. 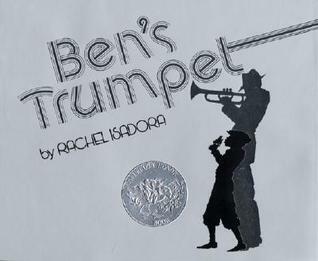 I decided to have a simple coloring page of a trumpet, but to make it exciting for the children we had to use gold glitter! Who doesn't LOVE glitter (other than the cleaning crew?)!?!? 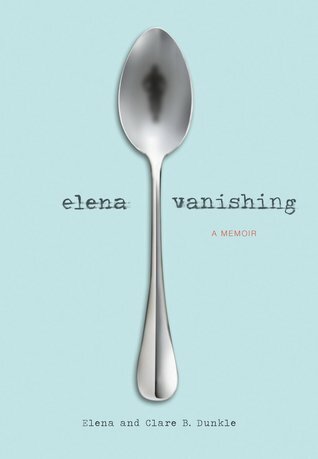 *Images of book covers were found via www.goodreads.com - here, here, here, and here. "Wake up cousin! We're going to the zoo!". Whenever I think about the zoo I also think about the quote from Dudley in Harry Potter and the Sorcerer's Stone. Well, I didn't recite lines from Harry Potter during storytime. The children liked the program a lot. I noticed that some families haven't been to the zoo yet, which is either because of how far away it is from the community, or the family is new to the area, or the fact that the tickets to the zoo can be pricy. I hope they get to go soon though! 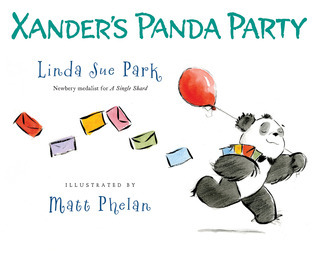 This was a sweet book, and the children enjoyed it, which I was glad about. 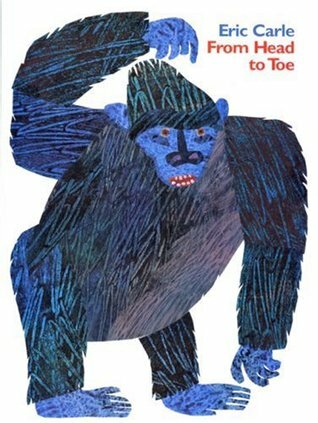 Everyone thought this was a silly book. The children liked mimicking the animal movements. *Note: We do this song three times and very the speed each time. 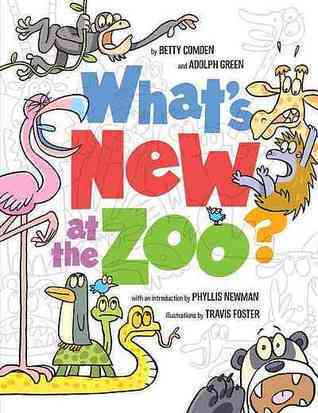 I downloaded the app "Zoo Sounds" onto my storytime iPod, and I had the children use their listening skills to guess which animal was making the noise. One child did a great job, but the other children needed to work on their animal identification skills. 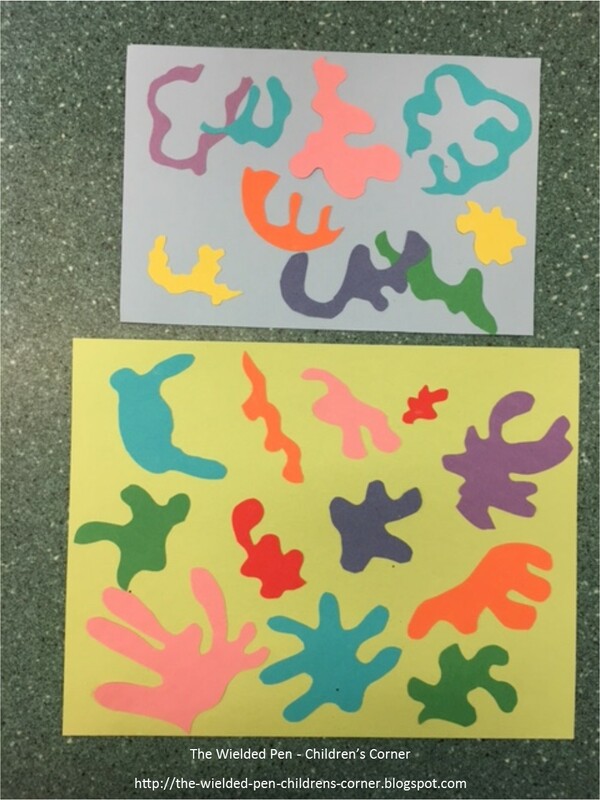 Everyone worked on their little finger motor skills by weaving different colored strips of paper through the body of an alligator to create his colorful scales along his back. Some of the younger children needed their guardian's assistance in completing the craft. *Images of book covers found via www.goodreads.com: here, here, and here. 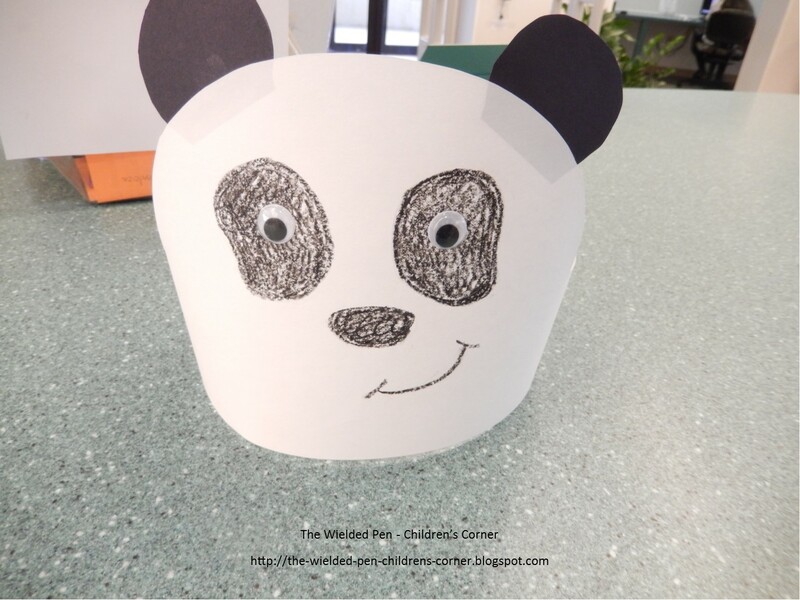 This Family Storytime theme was the perfect time for me to introduce a new activity... The Memory Box! I was looking for new ideas freshen up my Family Storytime, and I came across Abby the Librarian's blog post about her Memory Box. I thought it was a nifty idea, and I really wanted to give it a try. Hope it works out! 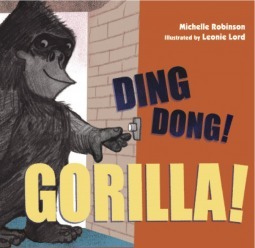 This was a good boo cause the children had to guess what type of animal that is being introduced a bit at a time on each page. 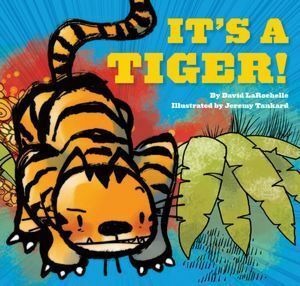 This is really the first time I that used a wordless book in storytime, but this worked out well! 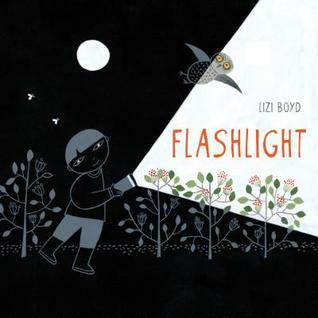 It was a good thing that I only about 8 children in the program so that way I could take some time and walk around the room and have the children see the different animals that were being discovered by the flashlight. The children loved debating what animal it was. Is it a duck? Is it a rabbit? The item in the box today was an Owl. I told the children if they saw an owl anywhere in any of the books that we were going to share they had to let me know. Excitingly, one boy actually did just that while we were going through Flashlight! Yay! After the children finished their craft they could participate in a scavenger hunt in which they had to find book characters around the room. I tried to make this good for all ages, but there were some little ones visiting on their first to the library. Their guardians thought it was kind of hard to do in such a small space, which is true. My storytime room is very small. While scrolling through Pinterest I saw a lot of I Spy Bags/Bottles. I thought they were really nifty so used a lot blue colored rice and little object I had in my craft supplies. Every child had the opportunity to pick a couple of objects to put in their ziploc bags then I poured in a cup of rice. They children thought it was pretty nifty! *Images of book covers found via www.goodreads.com - here and here. 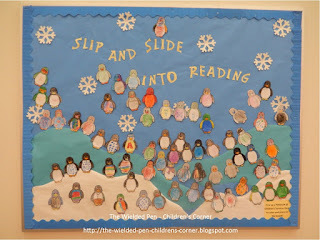 I've done an interactive storytime before, but they are so much fun. 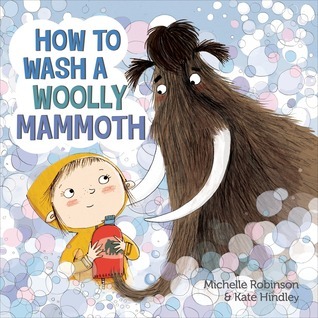 Plus, there are more and more books coming out that require involvement from the readers, which means I have more opportunities to do storytimes like this! Since I want to make sure that every child has a chance to push the button I decided to create a copy of the red button to push to have in front of them. They LOVED it! Our photocopier, which has a scanning mode, was out of order so I had to make black and white copies of the button and use a red crayon to color the button, but it worked out. Next time I plan on scanning the page and print in color... and maybe even laminating them so I can keep them on hand. 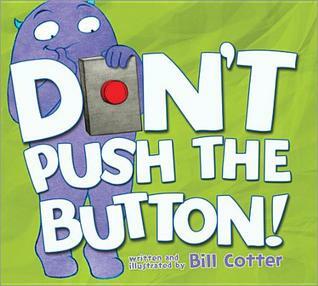 Every time I read this book I start to lose my voice! It's true! It's such a fun book. For the school-age children in my family storytime caught onto the game quickly, but I made sure to keep the story interesting and interactive by having the run in place, swing from a pretend vine and so on. They certainly got a workout! I heart Jan Thomas! Her books are so much fun. I had a frog puppet to help with this story. We all pretended to be ladybugs and made silly and scary faces. At the end I had the children make the scariest face they could in front of my frog, which I would make it get really scared and hop onto the next child. I placed a number of objects (such as a cat, a car, a dinosaur, and a soldier) from a bag to help us create our own story. The story got very silly, and complicated. But the children loved it! I found this craft on Imagination Soup's website, and thought it was perfect. I followed the rocket ship theme and wrote the story lines, but the children had to draw their own pictures to help tell the story. Everyone did a great job, and were quite imaginative. *Images of book covers were found on www.goodreads.com - here, here, and here. This post is kinda old, peeps, but it's a good one! The world "organutangled" is quite a tongue-twister for me, but it worked out. 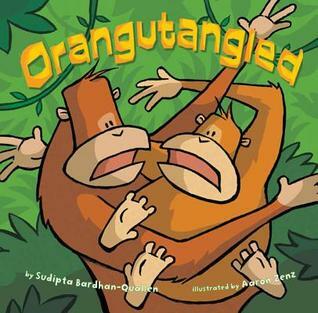 The children were great in trying to explain why all the animals got tangled together. This was a must read because it inspired my craft. The children insisted on reading this one. 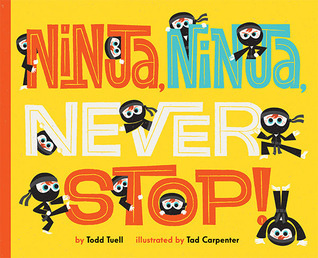 They LOVE ninjas! Watch the video linked before for the actions! Note: For this group, I went over the actions, and made sure they knew what to do with going bananas. We did three time, each time a little faster. The group LOVES going extremely fast! Ninja, ninja touch the ground. Ninja, ninja roll on the ground. Ninja, ninja touch the sky. Ninja, ninja touch your toes. Are you behind the [color] house? Source: Me... a piggyback of "Little Mouse, Little Mouse"
We did this little rhyme after everyone had finished their craft. They love it! I saw this craft online and really wanted to do it. Even though it cost $1.70 to get a small pouch of wool roving at the local craft store, I could not figure out what to do with the leftovers (especially since I tend to have such a small attendance). Even though I still wished I had bought it, I am really happy with the idea of using brown yarn instead. To make the mammoths extra fuzzy feeling I had the children pull the strands of yarn apart and glue them to our mammoth image, which I found here. The children loved it. Plus, it ended up being a very good practice in fine motor skills and provided texture for the children to play with it! Source of the book images found here, here, here, and here.